Could it be true? Read on to discover a bit more on this breaking story. In 2005 Paul Melici of PM Tuning Racing Products and Frank Sanderson of Scooter Innovation joined forces to put their combined scooter industry knowledge of over 60 years into a partnership and launch Scomadi Ltd. For those of us new to “Scomadi”, it is an amalgamation of “scooter manufacturing and distribution”. Through a joint venture and partnership between Frank and Paul and business professionals Pimol Srivikorn and his sister Taya Teepsuwan, a production facility based in Thailand has been established and is currently producing scooters for worldwide consumption. This management team has a wealth of experience in the motorcycle industry and are very confident that they can produce high-quality products for their rapidly expanding worldwide market, potentially including North America. Scomadi Ltd is a registered company in England and Wales, (Registration No: 05377475). 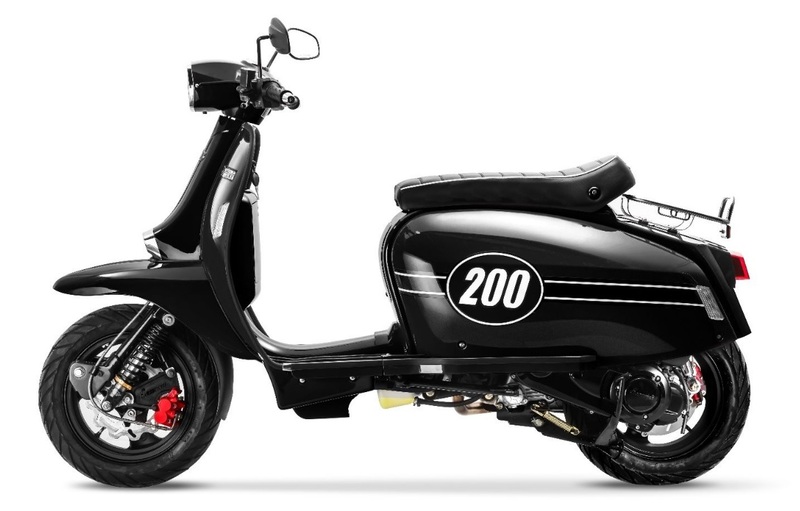 The scooters are not currently available in the United States, however, Scomadi says that they are currently working with an unnamed US importer on US DOT/EPA certification to enable them to make the range available. Next articlePLAN AHEAD for the Aussie Scooting Experience of a Lifetime!